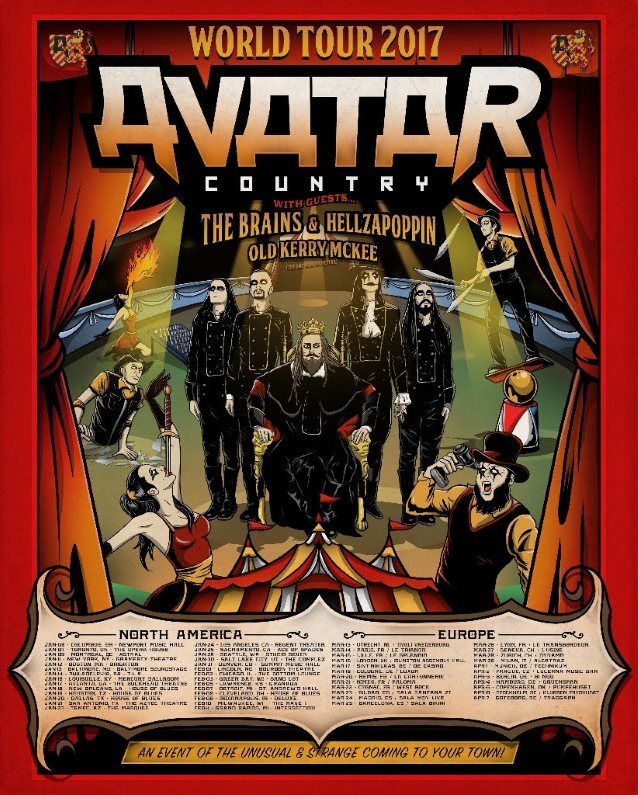 Swedish metallers AVATAR will release their seventh full-length album, "Avatar Country", on January 12 via Entertainment One in North America and Century Media Records Ltd. in the rest of the world. The disc was produced by Jay Ruston (STONE SOUR, ANTHRAX, STEEL PANTHER) this past summer at Spinroad Recording Studios in Gothenburg, Sweden. The official Johan Carlén-directed video for AVATAR's new single, "A Statue Of The King", can be seen below. The track is available as an iTunes instant-gratification track.